When you and your dog are hitting the road for your dog-friendly vacation, the actual road trip can be the best part! Sometimes people are so focused on the destination, they forget to stop and smell the flowers, a part that a traveling dog really should be doing frequently. 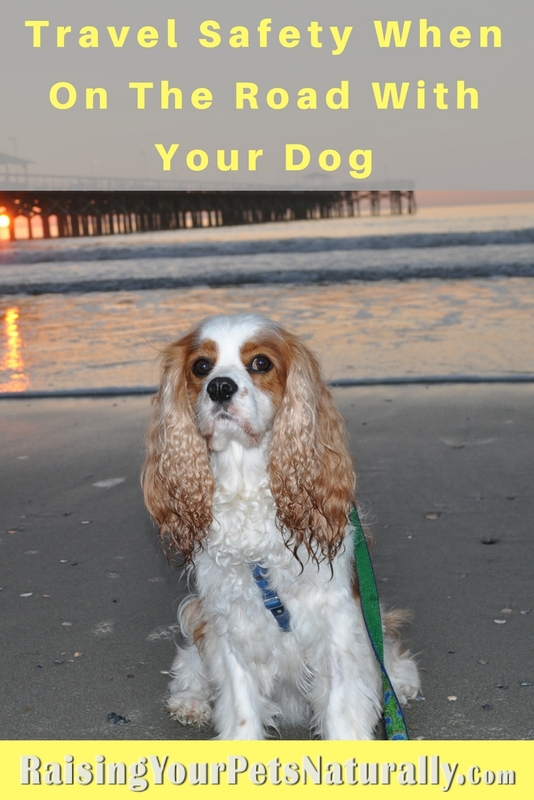 Here are my top 5 tips to make your journey to your vacation with your dog a fun one. Research the Route: Before you hit the road with your dog, hit the internet. Map out your journey and start to look for dog-friendly establishments, tourist spots, and parks. You can plan pit stops and potty breaks at the best spots. If you are traveling alone, this is extra important, because you need to stretch your legs. Call or Email: After your dog-friendly internet search, make sure you follow through with an email or phone call to double check that an establishment is dog-friendly and if there are specific rules for dogs. Some dog-friendly activities are specific to certain days or seasons, and it’s always possible that ownership or management has changed policies from what’s online. It’s a good idea to confirm your plans ahead of time. Potty Breaks: Stop often to stretch your legs and to get your dog out walking and sniffing. 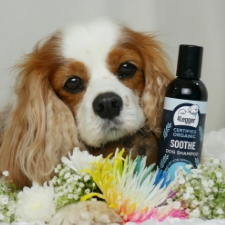 Depending on how often your dog travels, he may be a little stressed, so don’t rush him to do his business. On leash, let him sniff around and investigate. If he’s enjoying the trip, and I sure hope he does, take a little stroll around the rest area. Of course, don’t forget to pick up after he does his business! Half-Way Point: During some vacation road trips, the drive will be over 5 hours, which may indicate an overnight stay or two. These overnight retreats can be just as fun as the end destination. A little research can lead to a really fun day. 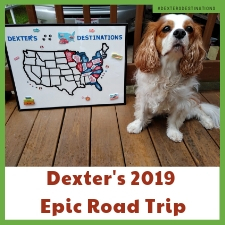 When Dexter The Dog and I travel, we tend to leave at 3 am or 4 am to ensure our day trip will have plenty of time to enjoy the dog-friendly town of choice. Take Photos: That’s a given, right? Taking our dogs on dog-friendly vacations is so much fun and having great photos helps us relive the trip. Don’t be shy – snap a selfie or two! Do you have any pet travel tips to share? Tell me in the comments. We don’t have a dog but these are great tips for the dog owners out there. 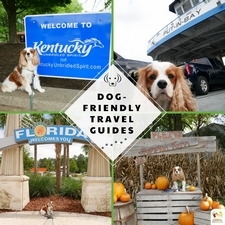 Good information to know when traveling with your pup so you are prepared. Traveling with pets is fun, especially when you do the prework. Thanks, Cynthia. For sure. Not having something can be very stressful. Thanks. There’s no rushing Dexter! When he gets out he wants to sniff the air to figure out where he is. It’s 1/2 the fun! It’s been a long time since I’ve traveled with a pet! We used to love taking the family dog along on road trips when we were kids. Some of my fondest memories as a child was loading up my dog, Toby and heading out to a cabin in Canada. Best time ever! Thanks for sharing this – #5 is always tops on my list these days. Having a half-way point is a great idea! These are good guidelines. We’ve never gone on any long trips with pets. I wouldn’t mind doing it though. Thanks. It’s definitely different. But, we try to enjoy the road trip as much as the destination. So very true. We always confirm before we leave too. We love taking our dog along with us on vacation. And, I swear some of our best photo opps always include him in the picture! Dogs tend to steal the show! Our dog is too big to travel far with but man would he love it! I could see him hanging his head out the window for hours if we let him lol! If you have a pet then while going for travel you some part of mind is tensed about your pet only. These are good guidelines. Traveling with pets is fun. Thanks, Neha. I’m glad you enjoy pets! I’ve always been to afraid to take our dog on the road. These tips will give me a better idea of how to make it safe and enjoyable for us both. Thanks, Tami. That’s actually why I wrote this post. I had a few friends afraid to travel. Traveling can be so much fun if we follow a few safety guidelines. I hope you do it more! 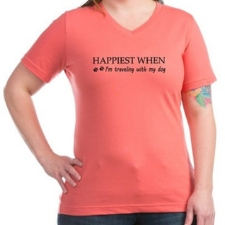 I love your idea of taking pet pics during your road trip, that is a great way to remember special times with a pet. 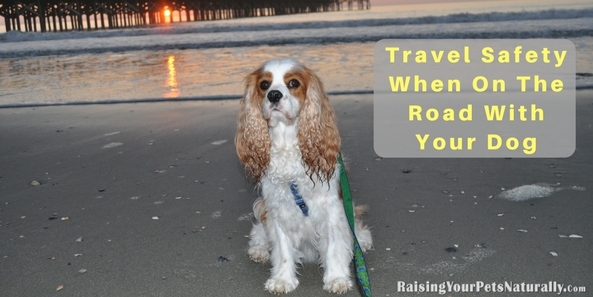 Great tips for road tripping with pets! Thanks! I’m such a photo person. They aren’t great photos, but they do help remind me of the great times. Thanks. A motor home trip with Dexter is on my bucket list! I think that would be so much fun. 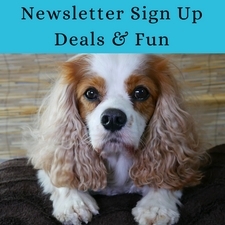 Great tips and tricks for traveling with your furry companion. Mine doesn’t travel well, but maybe she might do better after incorporating a few of these! Thank you. Slow and steady.